Few words about my academic project. 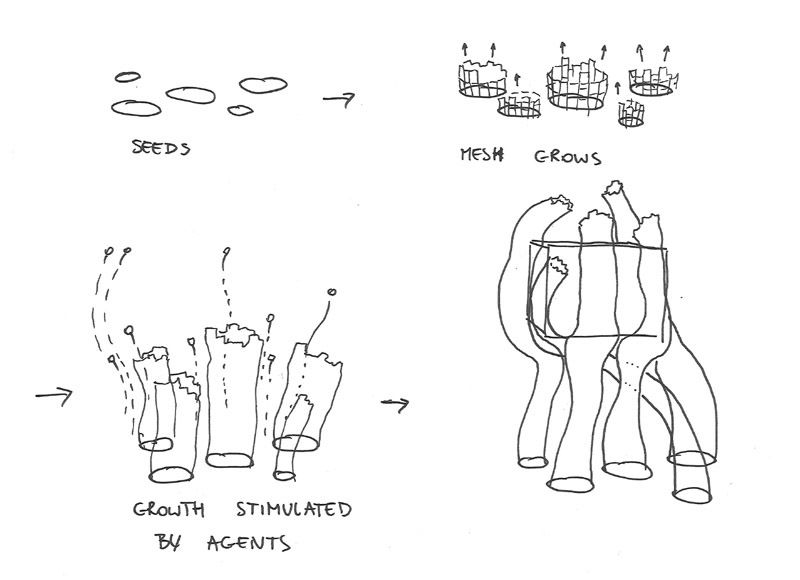 As a part of my dissertation work I am experimenting with various algorithms simulating growth of forms. Most if them are inspired by nature, some of them are just pure math, but most importantly they seem to produce quite interesting effects. 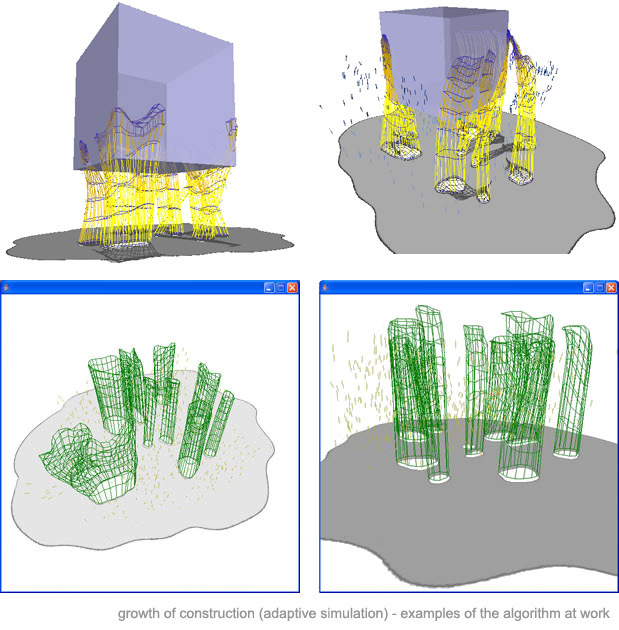 Constructions shown below have been generated in Generative Components, part of Bentley’s Microstation software. 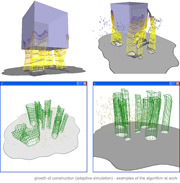 Currently I am developing processing application simulating ‘growth’ of construction elements, which will be interfaced with GC and rationalized (quad-based wiremesh construction will be covered with cell-like circular elements). 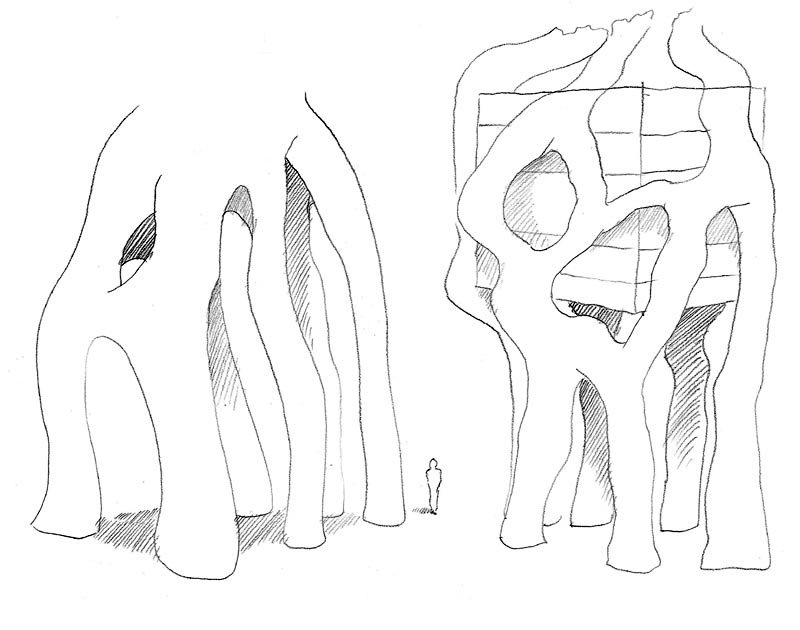 Illustration of the concept (click to enlarge).